Handmade in Kansas City: Are you ready for a side hustle? 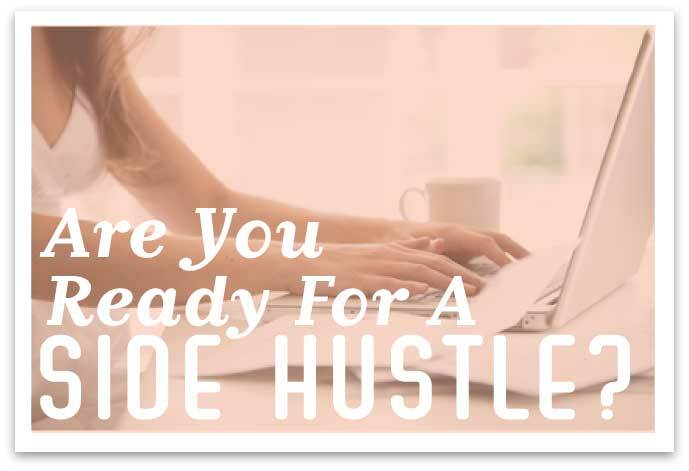 Part one: What in the world is a side hustle? Google side hustle… no really, I'll wait. 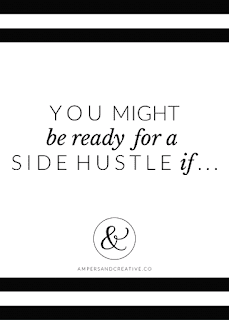 Or better yet do a search on Pinterest and you will see the crazy amount of information you can get on how to start a side hustle, how to create a passive side hustle, why you should have a side hustle. Side hustles you can start in winter. 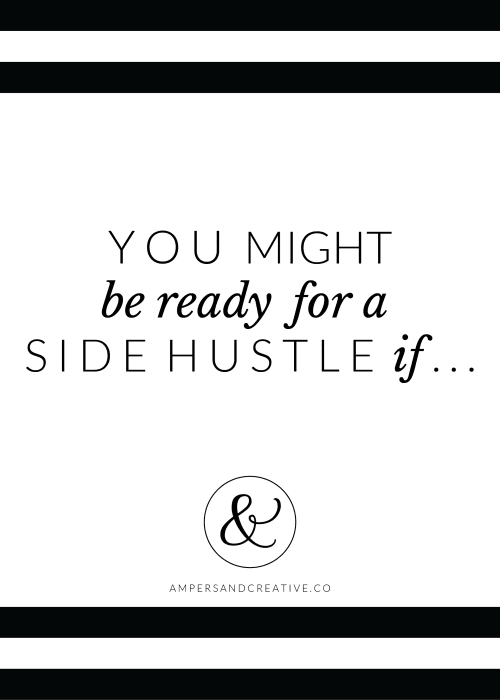 Or maybe you are not familiar with the term side hustle. A side hustle is an entrepreneurial endeavor that is in addition to a full-time job. The side hustle mindset is becoming more and more common, it’s a way to make money doing the creative passionate work you would ideally be doing. This is in addition to a full-time job, or even multiple part-time jobs, a stay at home mom can have a side hustle, your retired parents could start one. The side hustle and creative work go hand in hand. Part two: Is the side hustle worth it? That's the real question at the heart of this trend. While you will find a plethora of articles telling you success stories and break down a side hustle success into five easy steps, that is not always the case. Part of having a side hustle is that it is done in your free time, so if you value alone time, or you want to go out a do things some of that time is taken up with a side hustle. Your time has to be divided up by work, side hustle, family, fun, chores. There is also the realization that you might truly love what you are doing with your side hustle and while your full-time job gives you the security of good pay, insurance, retirement, and the many other benefits of working a full-time job. For the creative types, those of us that make and create with our hands the dream is always to create for a living, the reality of that is sometimes it doesn't bring as much as you would like, or you don't have the time you wold like for your passions. Then there's the mental problem of putting your creative work secondary to your job. when we have the idea that we work so we can create in whatever free time is have left. That can be a draining aspect of having a side hustle, one that might make an artist burn out or lose momentum. Part Three: A change in mindset is all it takes. In a talk with my Avant Garde Professor, We discussed the power of changing the view of I work and create on the side. He mentioned that many artists worked to support themselves while creating their artworks. The main difference was that they had the mindset of ' I create art, and work on the side' This attitude is so important for creative types that have ye to turn their passion into a full-time job. Switching that labels on what is your job and what is your side hustle could be the thing to do, but the thing you love to do be for the thing you have to do. words and mindsets have power, sometimes all we have to fight burnout is a mindset and attitude. It's absolutely worth having a side hustle. Not only can it bring so much joy, but also can be beneficial in so many other ways: building certains skills, earning extra cash, caring for environment or other people.